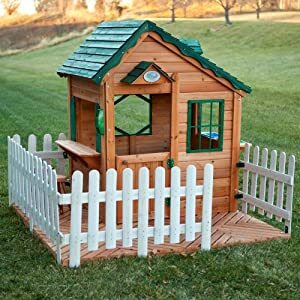 In this section we will share tips and resources for how to build a Garden Playhouse for your children. 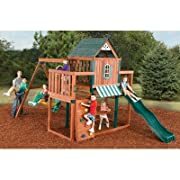 I also have found some fun and durable kids outdoor furniture and playsets that you can add to their new playhouse area. 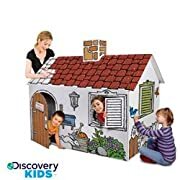 You can build a cubby house or tree house from scratch, or you can make it a much faster job by using some of the kits I'm featuring here as well! 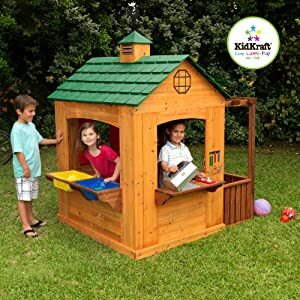 It Is Simpler Than You Think To Build Kids Playhouse or Play Equipment In Your Garden! 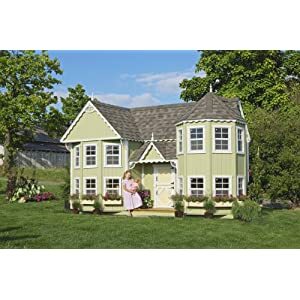 Anyone who read Peter Pan when young will have been enchanted by Wendy's little house and yearned for one of their own. 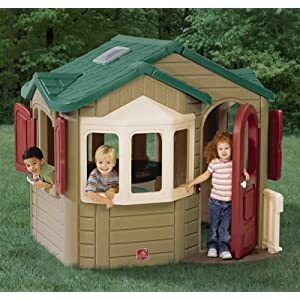 Wendy houses, now generally called playhouses, are still popular, as are tents, wigwams, tree-houses and dens. 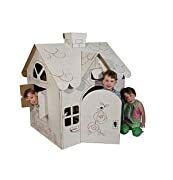 There are many delightful, ready-made playhouses available, some with window boxes, little verandahs and even upstairs rooms. To add to the charm of these buildings, paint or colour-stain them a soft blue-grey or any colour that ties in with your overall scheme and decorate simply, with gingham curtains and a few pots of cheerful pelargoniums. If you have an old shed that you do not use often you can transform it into a wood cabin straight out of the fairy tale "Hansel and Gretel". Cut logs into thin cross-sections or split larch poles lengthways and nail them to the outside walls. To complete the picture, plant ivy to swarm up the sides and a mass of striking leafy plants, such as Euonymns or ferns, to disguise the entrance and add to the feeling of mystery. 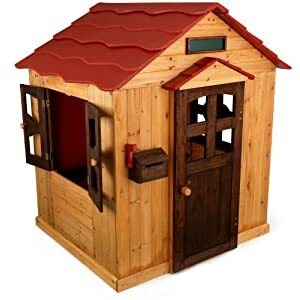 In this section of my DIY / how to do it yourself site I'll cover some more basic steps like this to build a kids playhouse as well as feature some of the pre-fabricated cubby house kits that you can order online and have delivered right to your garden. As a 7 year old living in rural Sweden I spent many happy hours with my neighbour and friend Anna-Stina in her beautiful wooden playhouse. She lived on a dairy farm, and the nature around us was just wonderful. So we played in there nearly every day, making porridge with oats and white waterpaint 'milk' and pretending to play house. Our mothers must have been thrilled that we were happy to stay away from home and not be under foot all day. 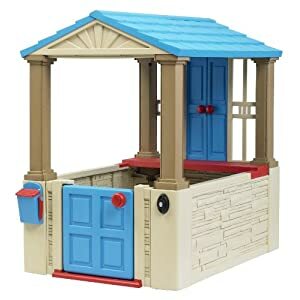 Absolutely one of my best childhood memories are of that kids playhouse built by her father - every child should have those kinds of memories! 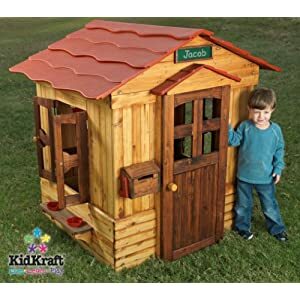 If you are not feeling very confident about building a kids treehouse, playhouse or climbing structure, you should probably take the easy way out and order a kit! Alternatively create a Heidi-inspired look by cutting Tyrolean-style ornamental eaves and shutters out of marine ply and fixing them on to the shed. Add some window boxes, hang checked curtains at the windows and colour-stain or paint. If your shed is in a very leafy corner of the garden you could try a jungle theme. Attach bamboo screens to the sides of the shed and disguise the roof with a thatch screen, made from woven brushwood. Plant a couple of Fatsia japonicas - which have large, glossy, tropical-looking leaves-and place a cut-out painted plywood tiger so that it is peeping out from behind the vegetation. No child will be able to resist the charm of a living, albeit temporary, playhouse made from sunflowers and woven willow or hazel switches. Plant the sunflowers, willow or hazel in a circle, leaving a space for an entrance. As the sunflowers grow, their huge heads form a natural roof with the willow and hazel. However, you will need to tie the tops together once they have reached a suitable height. To create a living playhouse that will look just as good in winter as summer plant only evergreens around it. 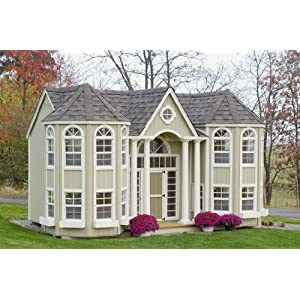 How about building a kit wood playhouse like these styles? 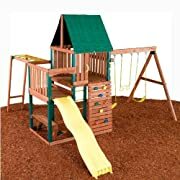 These kits would make your life a lot simpler than trying to build a kids playhouse from scratch! 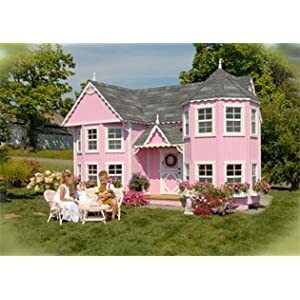 There is a beautiful range of wooden kids playhouses that have a Heidi style about them. 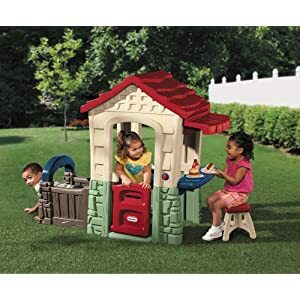 These adorable plastic kids playhouses are a snap to build! 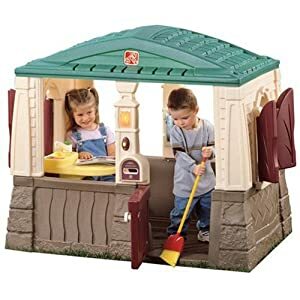 You can save yourself even more work, by building a plastic kids playhouse - that way it does not require painting or any protection for wood, and it will practically never need any maintenance work on it at all... to clean it, just hose it down. A garden takes on a completely different atmosphere at night. Children are fascinated by the way darkness transforms the garden, making it almost an alien territory, complete with strange rustlings and calls. To really appreciate this you have to spend a night outside and the best way to do this is in a tent. There is something very appealing about sleeping under canvas, with only a sheet of thin fabric between you and the stars. It is something even child should be allowed to experience. 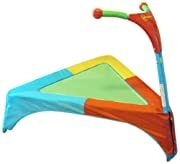 To avoid frustration, choose a small, simple-to-erect tent, hard-wearing enough to withstand daytime play, so that you will be able to use it as a portable playhouse. If you have a child approaching their eighth, ninth or tenth birthday and you are stuck for what to do, invite a couple of his or her best friends to an out-of-doors sleep-over, complete with birthday barbecue. No one will get much sleep, but it will be an unforgettable night. 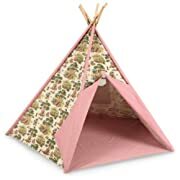 Sometimes it is best to keep things simple and in the case of wigwams this is definitely so. 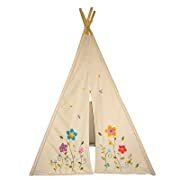 Children will get just as much enjoyment from a wigwam made from bamboos or hazel poles and an old sheet they have painted themselves, as from the smartest shop-bought offering. However if your garden is large why not build a permanent wigwam which can double as a climbing frame and later as a support for climbing plants. You will need live treated timber poles for the frame. These of must be buried a couple of feel in the ground, preferably concrete for extra stability, then secured at their tops by threading thin, metal, wire hawser through holes drilled for the purpose. 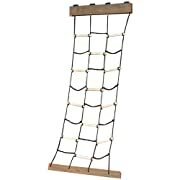 Once in place, hang a climbing rope from the top of the wigwam and wrap more rope around the sides. Fling an old sheet or blanket over the top when the children want to use it as a hideaway. 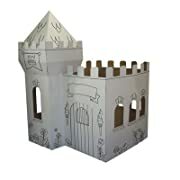 Cardboard makes a fun indoor playhouse too! 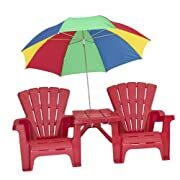 This is also the ultimate surprise for when the kids have rainy day blues! 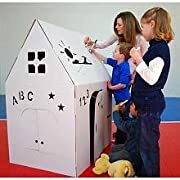 If you are practicing with an undercover area before you make the bigger investment of a permanent playhouse in the garden, you should consider building one of these cardboard playhouses and adding a bit of playhouse furniture. 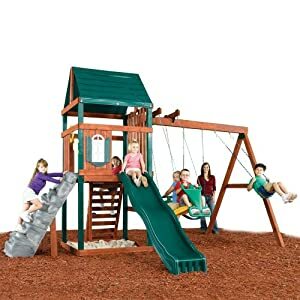 When you see that the kids totally love it and play all the time there, you can go the next stage! 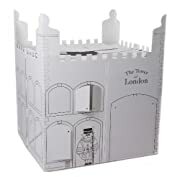 But another use for this playhouse kit is to simply buy it online and store it away while it is still a flatpack (under the bed or behind a wardrobe) as a HUGE surprise on any rainy day when the kids or visiting grandkids are bored and looking for something to do. 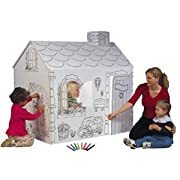 You can then just bring out this surprise playhouse that they can color themselves and help you to build their own playhouse before they 'move in' for the rest of the day! 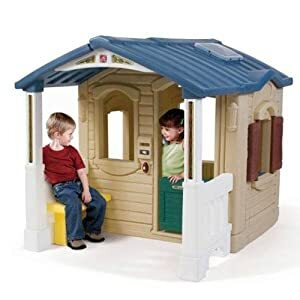 You can also get started on the whole idea of creating a private play house area for the kids by getting some kids furniture that can be set up inside or set up outside in a hidden area. 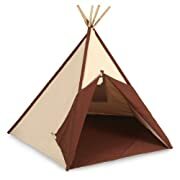 You can drape the clothesline with a couple of sheets and set up some kids furniture inside like a temporary teepee for the kids to play in or even sleep in at night. 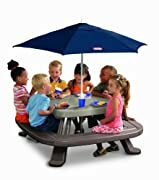 You can also set up a semi-permanent undercover shaded area, that will provide protection from rain and sun when the kids want to play on their outside equipment, by fitting a large awning that you can build under. 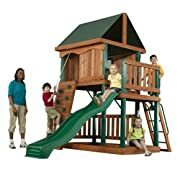 If you can then see that the kids are really going to get 'into it' and become active outside in their own tree house, you can make the next investment in time, materials or pre-fabricated kit playhouse for them. Then their kids furniture just gets moved inside the cubby house, or under an annexe of the house. Always buy the best quality you can afford, and always buy from a reputable dealer. Second-hand equipment may be cheaper, but, unless you are buying from a friend you can trust, you cannot be sure of its history or how it has been treated. 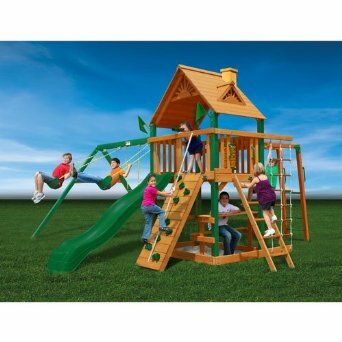 Combine a treehouse type of playhouse with play equipment for top value! Check for sharp edges, protruding nails and screws and un-planed wood which may splinter. Ensure the equipment carries a kite mark to prove it has passed all the relevant safety tests. All countries run their own safety tests and have symbols to signify that a toy or piece of equipment has reached the recommended standard. In addition the European Union has its own safety symbol. Also check for age-recommended symbols as many pieces of equipment are not suitable for underneath trees. 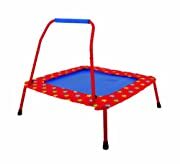 Regularly examine and maintain play equipment and structures. 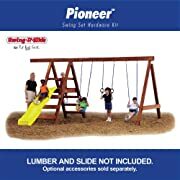 Make sure freestanding slides, climbing frames and swings are firmly anchored in the ground and that all nuts and bolls are still tight. Buy hard-wearing nylon rope in preference to traditional hemp, and replace it at the first signs of fraying. 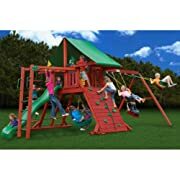 Remember that children are imaginative and unpredictable, so will not necessarily use their play equipment in the way the manufacturer intended. A good general rule is always to expect the unexpected. 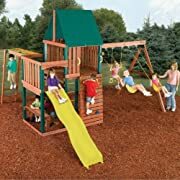 Be sure your children have a soft landing if they fall, place play equipment on well-watered grass, safety martins or, even better, a thick layer of bark or wood chippings or sand. 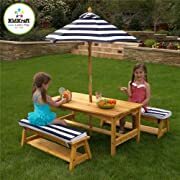 It is also advisable to choose a semi-shaded area for any play equipment or structures, so that children are not exposed for long periods to harmful ultraviolet rays. Remember when you are creating a climbing area you must ensure the safety of the kids with a safe and soft ground cover for them to fall onto. You can get some great recycled rubber playground tiles and mats that are easy to instal and very affordable. You can get them made in USA and delivered to your yard. Contact retail suppliers online to get quotes for the size you need and to get installation instructions. Speed Up The Garden Fun For the Kids With a Ready-to-Assemble Swing Set Kit! 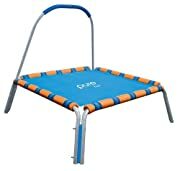 Get Some Good Time Value From Trampoline and Play Equipment for little kids. 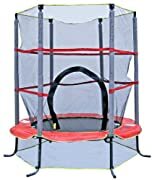 These are some great kids and toddlers Trampolines and activity toys that are durable, easy to clean, bright colors to stimulate your child, but do not take up too much space in the room or garden. They give you the choice of where to locate them, since they are portable and lightweight. 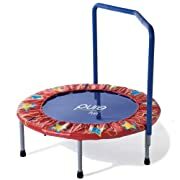 So you can still keep the kids entertained on rainy days by bringing them inside to play on them. 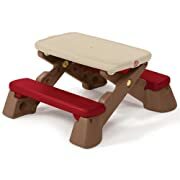 You could also get one or more of these toddlers toys to keep in your own home gym so that your little one is kept busy and active while you work out. A great way to make sure your toddler is ready for a nap after you finish your exercise routine and are looking forward to a shower and some quiet time! All children love sand and water. This classic sea-side combination offers endless opportunities to get wet and dirty, both popular pursuits, especially with the under lives. So paddling pools and sandpits will be well used. 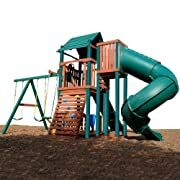 If you have the space, a permanent sand play area is worth considering. 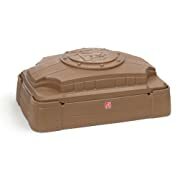 This can take the form of a pit, or more simply, a box. You can always convert it into a flower bed, sunken herb garden or pool once the children have grown out of it. 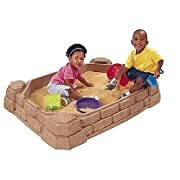 For a simple sandpit dig a hole to the desired depth and width, spread a sheet of heavy-duty plastic, with holes punched in it for drainage, on the bottom, then fill with children - play sand (not builders sand). Finish the sandpit with a low wall of pressure-treated wooden stockading, stone or brick. 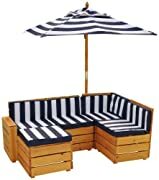 For a sandbox spread the plastic on the ground then use four railway sleepers as sides. Make sure dial the sleepers are not heavily impregnated with tar, which will leak out in hot sunshine, making a sticky (and toxic) mess. 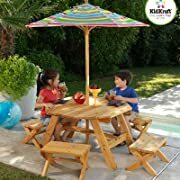 There are also kits with ready-cut and planed wooden planks which slot together. If you live near the sea, buy an old, holed dingy and use that as your sandpit. It will be very picturesque and look wholly in keeping with the setting. 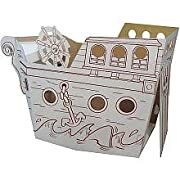 Two of the most popular designs among the huge range of ready-made sandpits are the plastic boat and clam shell. 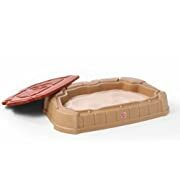 These are made in two sections, forming a base and lid, which give much more scope for flexibility, for example, you can fill the base with sand and the lid with water. Covers are very important for sandpits. They keep the sand dry, but more importantly keep it clean, preventing animals from fouling it. 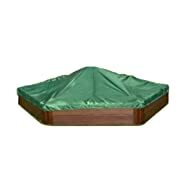 Use a sheet of fine mesh or oilcloth as a cover for home-made sand play areas, or fit a wooden lid, if the sandpit forms part of a decked area. 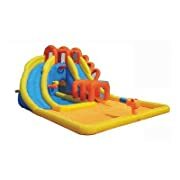 As with sandpits, there are paddling pools to suit all ages of children and size of garden - from little ones you blow up, through rigid moulded plastic, to large, soft, plastic pools with metal frames. Remember that regardless of the pool you choose, adult supervision is vital. Water is such fun on a hot summer s day, so supplement their paddling pool with other water toys, such as bubble machines and water sprinklers. There is a range of random-spray, oscillating water sprinklers which fulfil every criteria for fun. They look bright and cheerful - being disguised as flowers, insects and animals - and produce a refreshing line spray which will cool children down. Yet it is the surprise element which makes them so tremendously enjoyable. Even the most alert child is bound to be caught off guard and given a soaking. Move the sprinklers around the garden and your plants will love them too. 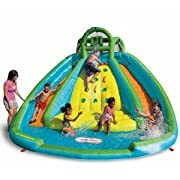 Combine a random sprinkler with a water slide and you will find it almost impossible to drag the children indoors at bed time. For a simple slide, spread a large sheet of plastic or oil cloth on the ground and make it good and slippery with a sprinkling of water mixed with a few drops of washing-up liquid. If you want a really fast slide down, place the plastic on a slight slope. 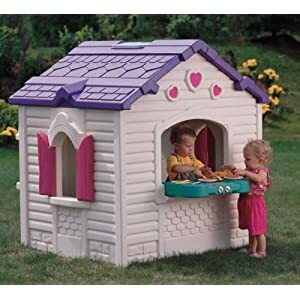 If you want to build kids playhouse mansions - I have even found these for you! 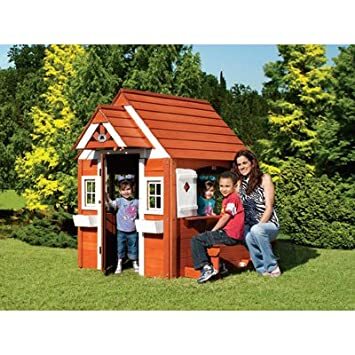 These are definitely not what I had in mind when I started creating this page about how to build kids playhouses, as I had a picture of simple wooden constructions - but these are so gorgeous I just have to include them! 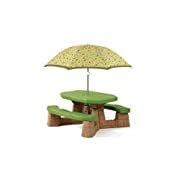 I think I'll get myself one of these for my retirement condo--- what else could I need to live happily ever after??? This is such a great way to have fun with your kids and build them a lifetime of fun childhood memories! 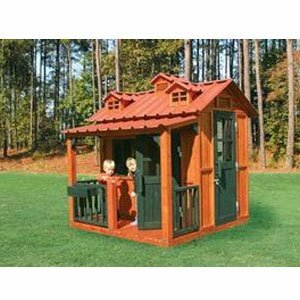 Back to HOME PAGE of this how to build a garden playhouse section of the site.